ENERGY ADVANTAGES; Beta alanine Works at the cellular energy level to help buffer the muscle from the typical fatigue that is felt during high intensity exercise. SMART SAFE CHOICE; Beta-Alanine is safe for men and women of all ages. Are you trying to put on size, strength, and lean muscle? Then you know that you’ve got to put 110% effort into your workout to see results. But it’s hard to keep up the brutal intensity day after day. Beta-alanine is an amino acid that attaches to Histidine to promote more muscular energy. You may see: Better muscular endurance More energy for high intensity or explosive movements Better overall workout performance Whether you’re involved in resistance training or endurance activities, beta-alanine is an awesome supplement to help you achieve amazing workouts Beta-alanine is going to work at the cellular energy level to help buffer the muscle from the typical fatigue that is felt during high intensity exercise. * It works by encouraging more carnosine in the muscle tissue, which may delay the build-up of acidity in muscle tissues throughout a workout set. * Translate that to your workout: pushing out more reps, working harder, and seeing better results If you’re doing a high rep, high volume workout, you’re going to want to have carnosine working in your favor and beta-alanine is a key to getting there Beta-Alanine is safe for men and women of all ages. 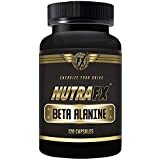 Anyone doing high-intensity exercise or endurance exercise could consider Beta-Alanine as part of a great pre-workout formula. If you’re doing weight lifting, training for a sport, or any other type of endurance events Beta-Alanine is a great choice for you.